"Being bilingual or even multilingual should be seen as an asset and resource to schools and communities, rather than a deficit that needs to be remedied, said Maria Franquiz, a bilingual education expert and University of Utah professor who spoke at Baylor University on Tuesday. 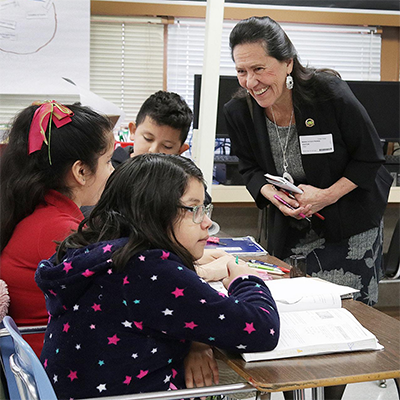 Franquiz spent time before her lecture touring schools in the Waco area and speaking with educators about bilingual education." Education historians Dr. Wesley Null, Baylor SOE professor and Baylor vice provost, Diane Ravitch, research professor of education at New York University, provides background on Texas public school funding as the 86th Texas Legislature considers public-school finance system. 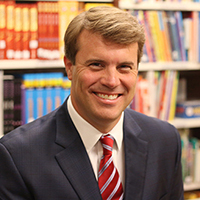 Dr. Tony Talbert was featured as a scholar in education policy at the national economic climate and advice webiste Wallet Hub. Dr. Talbert offered insights nd guidance regarding the impact of quality education poliies and practices on the economic well being of communities and the nation at large. 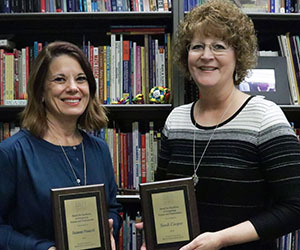 Collaborators from the Baylor School of Education and Waco ISD received the national Award for Excellence in Integrating Science and Mathematics at the School Science and Mathematics Association (SSMA) convention in October. 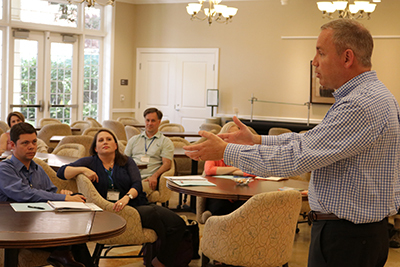 Faculty members in the School of Education led a multi-year professional development workshop series for teachers and student teachers (Baylor SOE students) at two of our Professional Development Schools. The workshops focused on how to integrate STEM topics into the elementary curriculum, featuring exercises in the engineering design process. 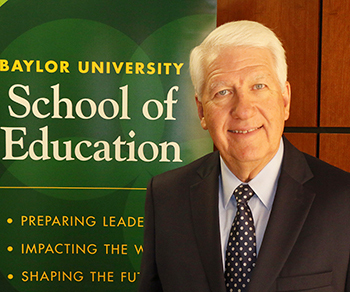 In the Baylor School of Education, groundbreaking research and immersive experiences prepare students for the future of education. 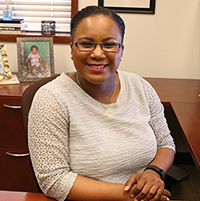 Dr. Lakia Scott, assistant professor in the Department of Curriculum and Instruction, has founded numerous programs designed to help students succeed. 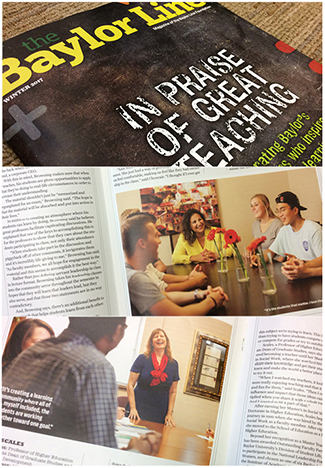 She shares how these experiences equip future educators to better serve their students and communities after college. 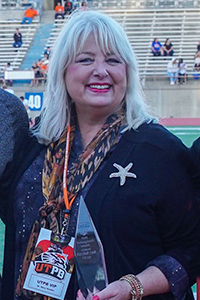 Dr. Darden is pictured during a ceremony honoring Distinguished Alumni at halftime of a football game at the University of Texas Permian Basin. 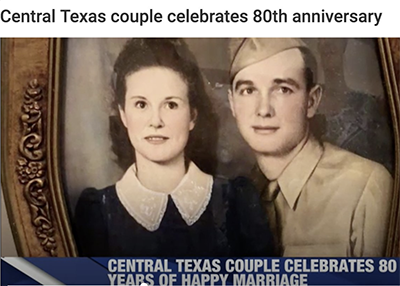 Loree Motley Brown, a Baylor English graduate with a minor in education, was featured on KWTX with her husband, William, when they celebrated their 80th Anniversary. Loree went back to school to earn her degree after she was already a grandmother and then taught for 20 years in Bynum, Malone and Hillsboro. One of the topics students discussed is how to stop school shootings. Incoming McGregor High School Freshman Maggie Parmer said her group found a direct correlation to counselors and school shooting incidents. 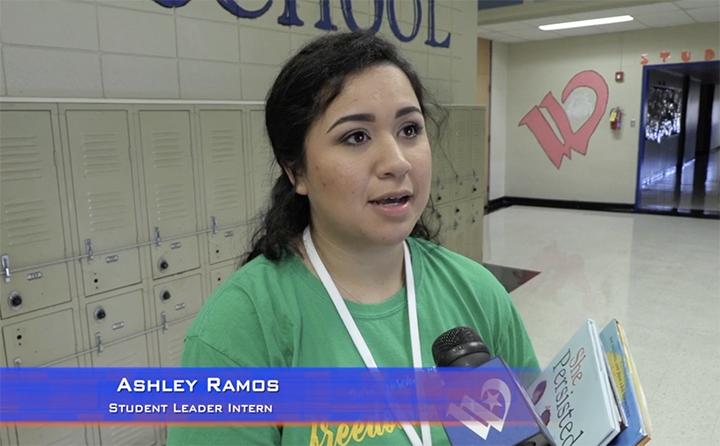 “We want to incorporate more counselors in schools,” Parmer said. Central Texas teachers, along with Baylor University scientists, are studying water at the Lake Waco Wetlands. The Environmental Protection Agency (EPA) is funding this workshop with a $91,000 grant. Because of that, Villarreal has proven to be a very special part of their community. 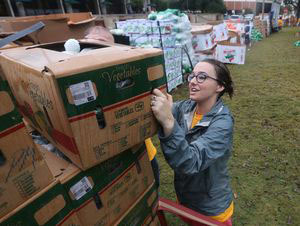 “In Somerset, we believe that we are a small town with a big heart, and she has got one of the biggest,” Vasquez said. 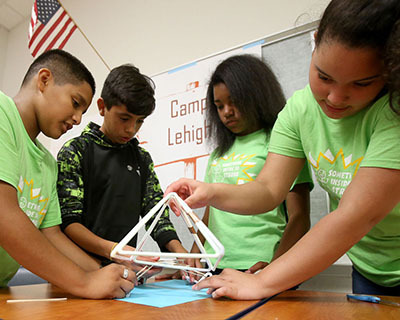 “On average, students lose between two and sixth months of learning during the two months of summer,” [Dr. Lakia] Scott said. It seems the program is already paying off in preventing that loss, she said. Comparing students’ reading abilities before and after Freedom School, she can already prove the impact the program has had on the children, Scott said. Dr. Border stated, "I am extremely humbled by this award. It is truly a reflection of the hard work of the students, teachers, parents and community members of Shallowater ISD more than it is a reflection of me. 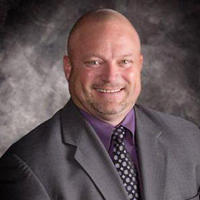 Shallowater ISD is an amazing school district, and I am simply honored to serve as its superintendent." 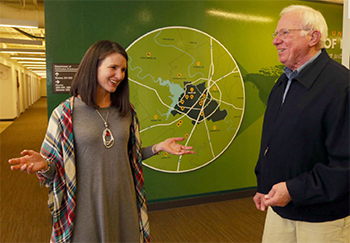 As the Baylor School of Education approaches its centennial anniversary in 2019, it continues to build on a legacy of immersive classroom experience, dynamic research and local partnerships. 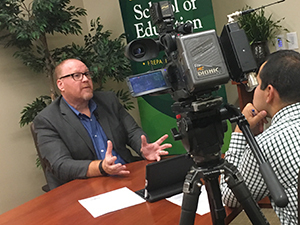 Dr. Terrill Saxon, Interim Dean of the School of Education and Professor of Educational Psychology, shares insights on award-winning partnerships with Central Texas schools, initiatives that enhance opportunities for low-income students and more. Graduation is a special ceremony for seniors across the country but one Baylor Bear will have an extra pep in her step as she crosses the stage on Friday. Rebekah Tate has had to overcome a lot of obstacles to get where she is today. Cancer forced doctors to amputate her leg as an infant. Like any other child, Rebekah spent an extensive amount of time in school but that’s where she learned many hard lessons, many of which can’t be found in a textbook. 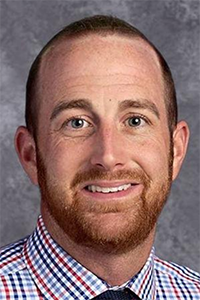 “I would say that the classroom isn't just for the subject you're teaching; it's for life,” Tate said. 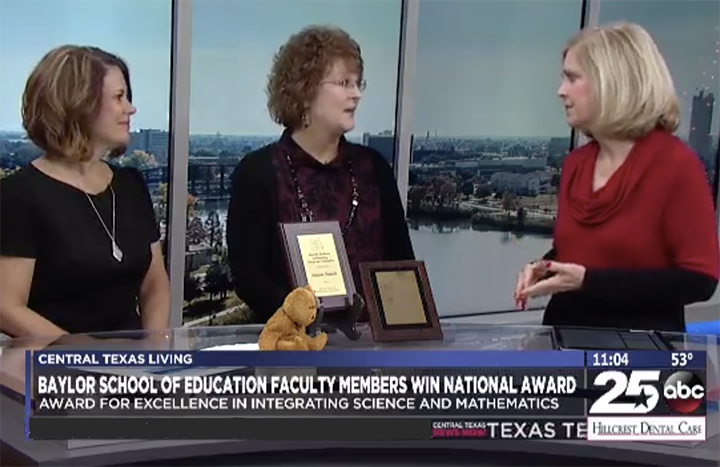 News story featuring the NAPDS partnership award won by Baylor SOE and Waco ISD for 2018. Baylor is the first university to win the award back to back, after beging recognized last year for its partnership with Midway ISD. For many parents, tablets and iPads are lifelines. They serve as a chance to keep children occupied while they get things done. Researchers now suggest tablet time could be unsafe for your child. 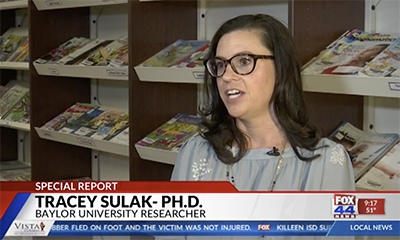 Baylor University researchers say you might want to think twice about your child's development before handing them the electronic device. 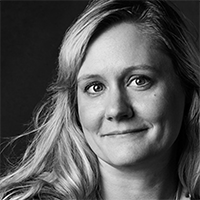 At Baylor, Hinshaw found a welcoming community of fellow veterans with whom she could commiserate about the trials of new responsibilities and newfound freedoms. 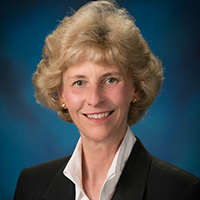 Founded by Dr. Janet Bagby, senior lecturer in educational psychology, Baylor VETS (Veteran Educational and Transition Service) promotes the academic success of veterans at Baylor University. All Baylor students who are military veterans are eligible for the free benefits offered through the VETS program. Chloe Greenmum and Maddie Jackson, both 10, and Kaylie Stone, 11, came up with Pillowcases of Hope with other students after attending a civics camp at Baylor University this summer. As of this week, the girls are in the middle of their second donation drive for the center, which is expected to last through Saturday. 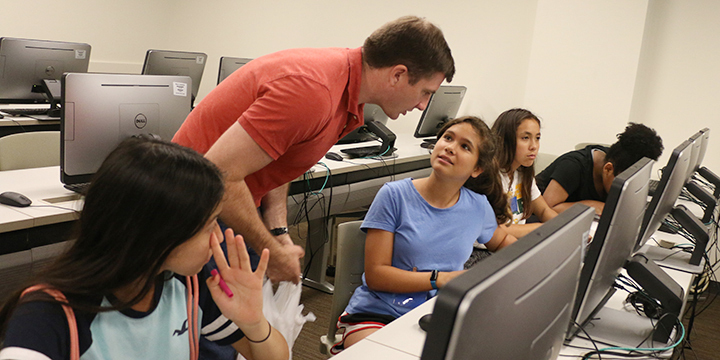 At the iEngage Summer Civics Institute, the girls learned ways to make a difference in their communities and were tasked with coming up with a service-learning project at the end of the five-day camp to show off what they learned. They did not stop at making a presentation about the idea. The girls wanted it to become a reality, they said. They pleaded with their parents to make it happen, and once Chloe’s father, Peter Greenmum, reached out to Maddie’s mother, Amy Jackson, the idea started to take shape. 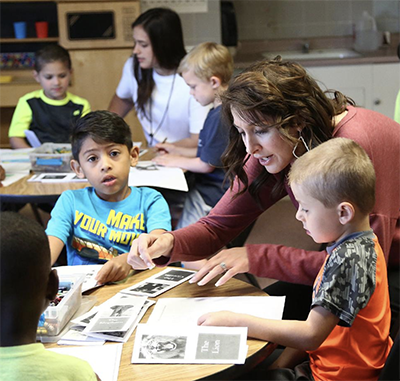 Baylor University is considering a new undergraduate and graduate program for training bilingual educators in an effort to fill an increasing need in McLennan County, School of Education officials said. 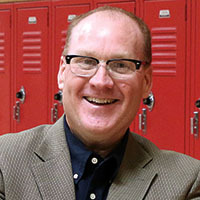 The Department of Curriculum and Instruction is in the midst of a search for a senior-level faculty member to get the program off the ground and hopes to have it up and running by next fall, department chairman Larry Browning said. “It’s something we’ve been wanting to do for a while, so there has been some talk in the past of what we were going to do,” Browning said. A distinguished Texas A&M graduate was honored with one of the most coveted awards amongst Texas educators at the 2017 Dr. John R. Hoyle Memorial Administrative Leadership Institute (ALI). Dr. Karen Rue '02, clinical professor at Baylor University’s School of Education, received the Golden Deeds For Education Award on Thursday, Nov. 30, for her years of educational service. The Golden Deeds Award is given to an educator who has been a consistently positive force for Texas students and teachers. A nominating committee consisting of statewide superintendents selects recipients. This video showcases the new P.E. Partners Program at Midway Middle School, a Professional Development School campus of Baylor School of Education. The program build empathy through inclusion practices in physical education classes. "In the public arena, we serve all children and all families, whether they’re rich or poor, or whatever their ethnicity is, whatever their socioeconomic status is, whatever religious belief they come from, whatever walk of life they come from, whatever status they enter the system in. Part of our challenge, and role, is to be able to start with children where they are." 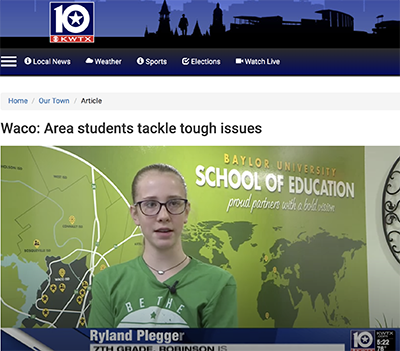 "Baylor University is offering a community outreach grant to pull a summer program for low-income Waco ISD students back from the brink of closure as the city of Waco prepares to finalize its decision to pull funding, Baylor interim Provost Michael McLendon announced Friday. 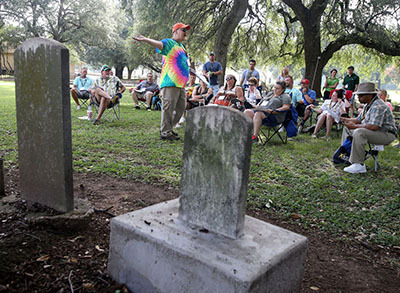 The new recurring grant will replace the $37,000 in federal Community Development Block Grant money the city plans to stop giving Project Promise, Baylor spokeswoman Lori Fogleman said. The news comes after 20 people spoke July 18 against a proposal by city officials to scale back on the number of organizations receiving money from Waco’s shrinking pool of the block grant money starting in the next budget cycle." 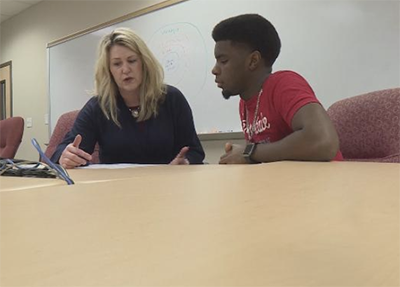 KWTX reporter Rhyan Henson covered the Project Promise program, which provides a three-week day enrichment program for low-income students in Waco ISD who are identified as gifted and talented. Previous grant funding for the program is at risk of non-renewal. The story was also distributed by Associated Press and appeared on several news aggregate sites as well as newspapers such as the Albany Times Union and the Brownsville Herald. 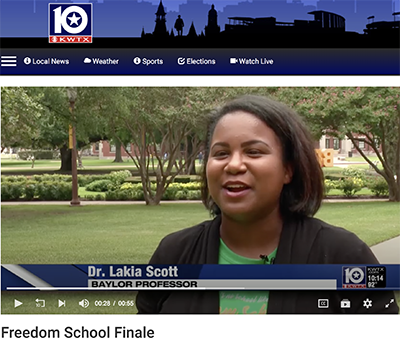 KWTX covered the launch of Baylor School of Education's Freedom School at Cesar Chavez Middle School, runing through July 28. Freedom Schools is a seven-week summer literacy enrichment program founded by Children's Defense Fund. Social action, character building, and STEAM activities are built into the program so children engage in an interactive, meaningful curriculum. "Higher education has a lot of oppourtnities to try to develop leaders, but there are much fewer opportunities that really focus on what it means to lead institutions that are faith-based Christian higher education institutions," said Rishi Sriram, Baylor associate professor of higher education and student affairs. 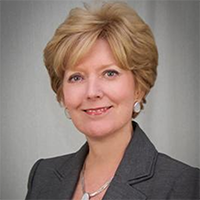 Dr. Janet Bagby, senior lecturer, Educational Psychology, founder of the Baylor VETS program, based on her research into the education challenges for student veterans in higher education. Baylor was named a 2017 “Military Friendly School” by MilitaryFriendly.com, and the services VETS provide were the driving force behind the honor. 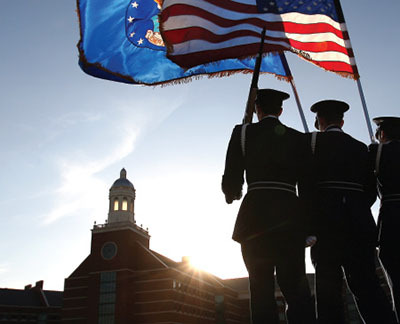 VETS resources include a Veterans Transition Class, a Salutes to Sic ’ems mentor program that connects students with Baylor faculty and staff members who also served, academic support, a Veterans of Baylor student organization and more. 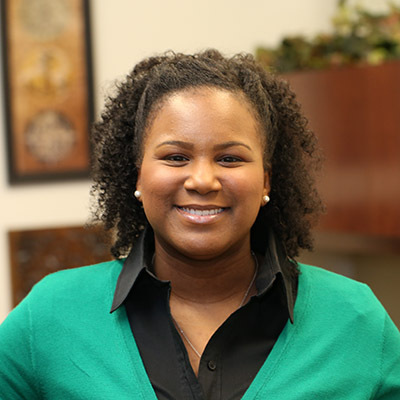 Dr. Krys Goree, director of the SOE's Office of Professional Practice and director of field experiences for Baylor students. Dr. Laine Scales, Professor of Higher Education, Educational Leadership and Associate Dean, Baylor Graduate School. Dr. Choucair says, "Literature is a vehicle for me to speak with students. Many things in literature resonate with our lives. Literature and fiction mimic our lives; that's why we read it. we grow from it." Dr. Scales says, "All of us are in a community together, all around this subject we are trying to learn. This is much better than trying to have students compete against each other or compete for grades or try to outshine each other." Featured: Curriculum & Instruction faculty member Dr. Lakia Scott and senior education major Branda Greening, who co-authored a book about their experiences on a Baylor mission trip to a Ghana school. Proceeds from book sales will buy supplies for the school, which Scott and Greening will deliver during a return trip in 2017. 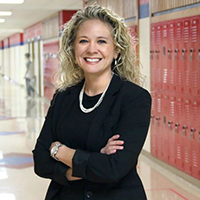 Featured: Doctoral candidate in Curriculum & Instruction Becky Odajima, associate principal of Midway High School, who was named the Texas Assistant Principal of the Year by the Texas Association of Secondary School Principals (TASSP). 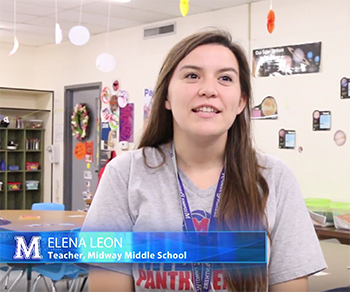 Midway ISD is a partner district of the Baylor School of Education, and Midway High School in a Professional Development School campus of the School, where Baylor teacher candidates gain valuable field experience. Featured: Faculty member Dr. Lakia Scott and senior education major Branda Greening, discussing the children's book they wrote about their mission trip to Ghana, titled The Children of Kyerekrom. 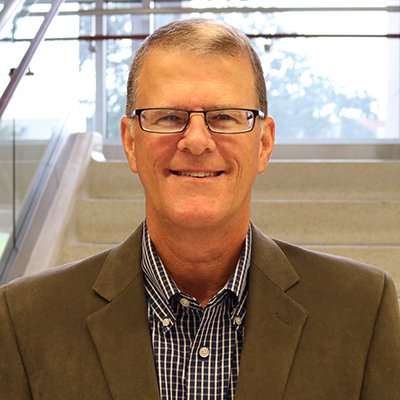 Featured: Faculty member Dr. Tony Talbert, discussing the role of university-based teacher-preparation programs in the retention of classroom teachers, and partner school district Waco ISD. 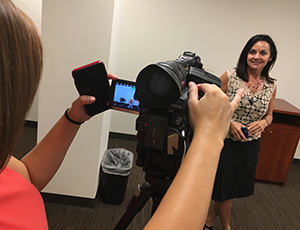 Featured: Faculty member Dr. Janet Bagby about her research study on the transition of military veterans to higher education. • Free Farmers Market at Baylor program was organized and inspired by the research of an SOE doctoral student and faculty member. Featured: Baylor School of Education graduate Julie Moore Carter, BSEd ’76, and Baylor graduate Mary Ila Colvin, BA ’48. A retired teacher, Carter launched a mentoring program at South Waco Elementary, headquartered at Seventh & James Baptist Church, and Colvin is a mentor in the program. Excerpt from Dr. Hodges: "It is more problematic for the child if the parents or the school doesn't listen and do something. So the level of support in a child's life is critical and some adult in their life that validates that they hear them and that they are going to do something about it, can stop the life-long impact of bullying." "In the past year, at age 13, Okafor has broken even more boundaries by getting elected to her student council and petitioning Rapoport Academy to create a football team for her peers and her to play on, now that she’s about to be too old for her current football program, she said. 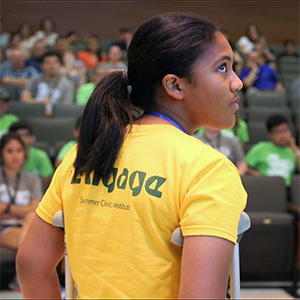 Her efforts wouldn’t have been possible had she not attended Baylor University’s iEngage Summer Civics Institute the past four years and worked up the courage to get involved in her school, Okafor said." 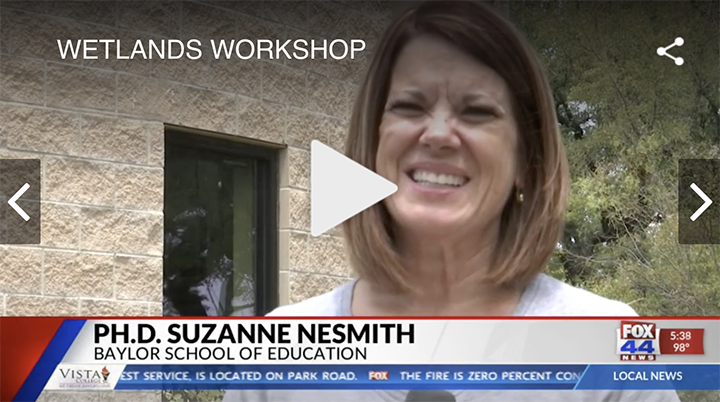 "The concept for the program came together in the fall, and Cooper launched the first Math for Early Learners Academy this month with the support of Baylor’s School of Education, Waco Independent School District, college students and parents. The four-week camp, which ends Thursday at Baylor’s Mayborn Museum, provides 4- and 5-year-olds with a basic number sense before they start kindergarten."